Griante is well positioned in Lake Como, making it easy to visit many of the lake's most popular destinations. Proximity to the Cadenabbia Ferry docks provides easy access to Bellagio and Varenna. Lake Como's most famous villas are easily reached from Griante: Villa Carlotta is only a short stroll away from most of its hotels; and Villa Balbianello is just a short bus or boat ride to the south. Lake Como is characterized by a number of small and quaint villages just like Griante, many with their own unique character. 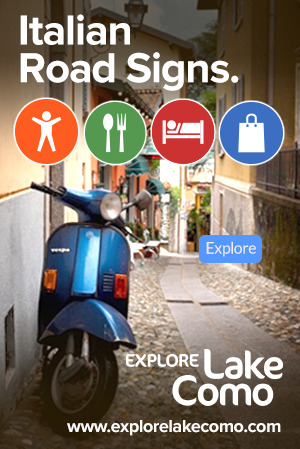 Someone visiting Lake Como could spend days stopping at each village experiencing different restaurants, cafes, shopping, art, churches, strolls and hikes. Each village also offers a unique panorama of Lake Como. 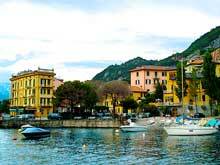 More information about Towns on Lake Como. Almost above all else, Lake Como, and in particular Griante, is famous for its Villas and Gardens. Although most are private, and therefore only viewable from either afar, through a fence, or over a wall, there are a few notable exceptions. 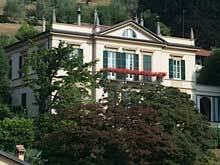 More information about Villas on Lake Como.